Easy Weeknight Crab Cakes: My Chesapeake-Style Crab Cake Sandwiches with Lemony Mayo! / Hey, EEP! 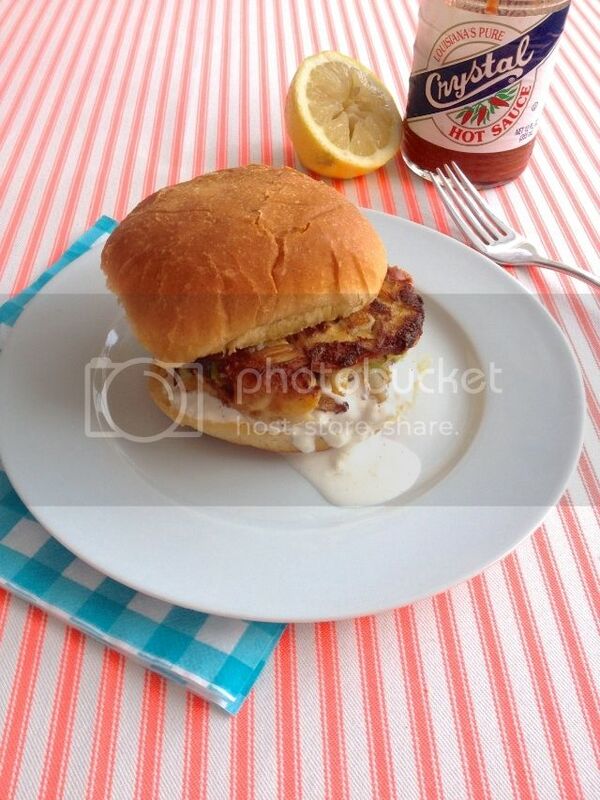 Easy Weeknight Crab Cakes: My Chesapeake-Style Crab Cake Sandwiches with Lemony Mayo! Ever feel burger-ed out? No, me neither. But if you're in the mood for a summer meal that's a little lighter—maybe something that makes you feel like you could be seaside, drinking a cold beer with perfect beachy waves in your hair even though it's a boring Wednesday night—give these easy crab cake sandwiches a try! The key to perfect, restaurant-quality cakes is all in the ratio. You want plenty of crab, not too much filler. You want 'em loose! You want 'em crabby! This means you'll have to do a good job pressing/molding each patty (since there isn't all of the junk holding things together) but it's worth it, trust me. 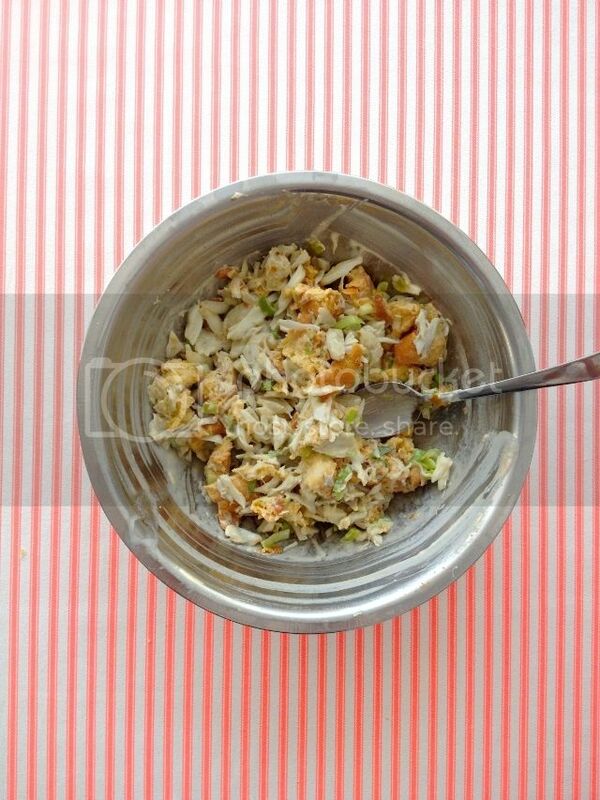 Here's the deal: Crab meat isn't inexpensive, especially when you buy good-quality pasteurized crab lump meat (which makes this recipe so incredibly easy and delicious). Life is about balance, though, right? You'll spend a tad more on ingredients for this dinner so offset it with a few super budget-friendly meals, like this Potato Chip Omelet, remember that!? 1. 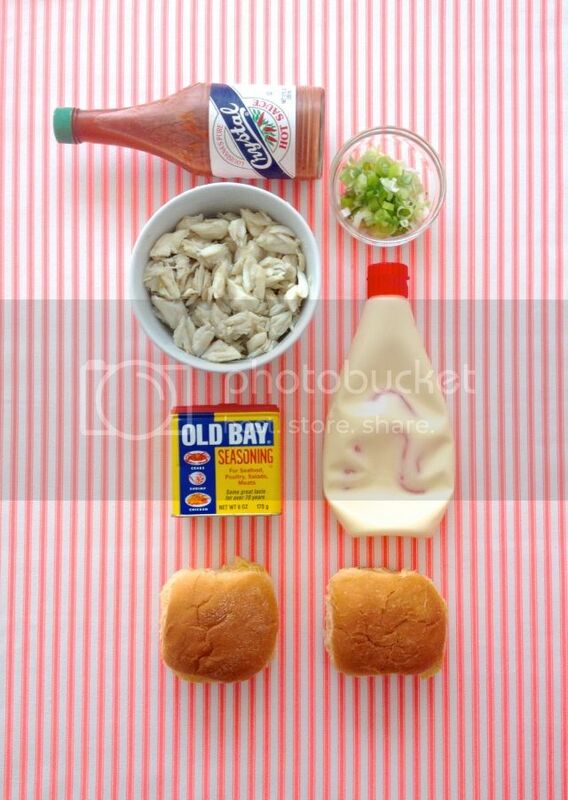 Using your hands, mix the crab, 2 hamburger rolls, torn into small pieces, scallions, egg, mayonnaise, Old Bay, hot sauce and salt until combined and crab breaks up a bit. Firmly press and pack crab mixture into 4 to 6 patties.2. Heat the butter in a large skillet until foaming. Add the patties and cook until golden brown, about 3 minutes per side (carefully flip using a fish spatula or other long metal spatula). 3. Sandwich crab cakes in remaining 4 hamburger buns (brushed with butter and toasted, if desired) with lemony mayo (recipe below) and Bibb lettuce, if desired. LEMONY MAYO Put a large scoop of mayonnaise in a small bowl. Add the juice of half or 1 whole lemon (depending on your preferred tanginess), a pinch of salt and a little freshly ground pepper and stir until smooth.